RC Radio: Ketehr Transit Hub, additional comments! 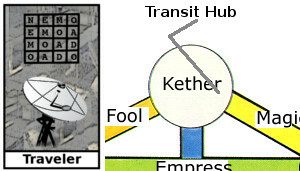 Kether is very large and thus traveling in Kether, not to mention finding your destinations, can be a daunting and exhaustive task. Luckily Kether has the Transit Hub to solve this problem. Kether exists outside time and space and outside physical reality, so it is not constrained by the limits imposed in realities of a lower vibration. Kether is a reality of travel, ideas, and spirit in motion. If this is your first trip, to KTH. Then go through the gateway in the back of the Stage (magician card). If you meet with Khronozon, make note of anything he tells you for later. Exit the gateway at KTH (you are now in Kether) and walk to the main terminal (the Open Mysteries building). 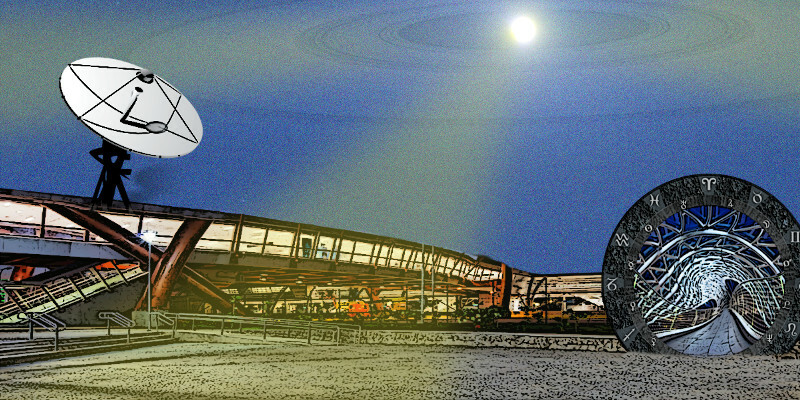 Open Mysteries Transit Terminal: This place contains stargates that will connect you to other parts of Kether, the galaxy, planets, spirit stations, starships, other universes, like the MathVerse. The destination board will tell you the various places you can go and what stargate to use to get there. 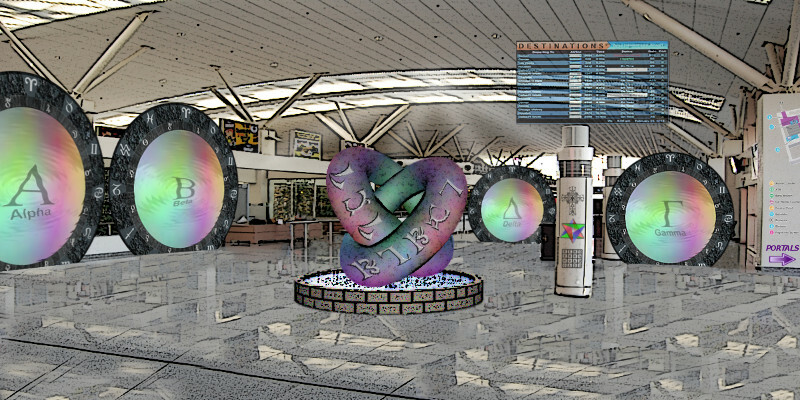 These destinations can change from time to time, because like any transit hub, some places can only be gotten to if the gateways to connect to it are active. So if you come here and some destination is not available try later, but while you are here pick something from the destination board that you have not been too or may want to revisit and go there instead. 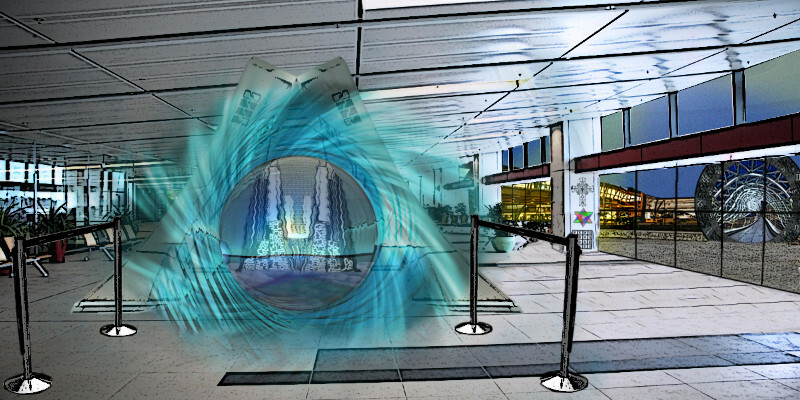 Kether Citadel's Plasma Portal: This special portal will take you to the spiritual seat of power for this part of our universe. Metatron can be found here, as well as the council of twelve that govern spiritual matters in general. If this is your first trip here, visit with the Flight Captain (named Nemo) and your personal Travel Agent to obtain your passport of CICLE and the talisman of IALKOMO. Then proceed on to the destination board of where you want to go. If you have a destination in mind use the destination board to find the gateway for it and go into it to begin the adventure. If you are exploring, you can pick any gateway and walk through it and see where it takes you. If you would like some guidance on where to go you can ask Flight Captain to recommend something for you or grab your Travel Agent to set up something, either now or in the future. Your Travel Agent will usually accompany you on all your journeys but you may be unaware he/she is there unless you want to see them or ask that they appear. The talisman of IALKOMO (pronounced ee-al-ko-mo), which means "burning window, " will help you travel to places far and near and will help to sustain you on your journeys. If you feel your energy waning and want to continue on your journey then hold the talisman in your hand to help you keep the focus and energy going. 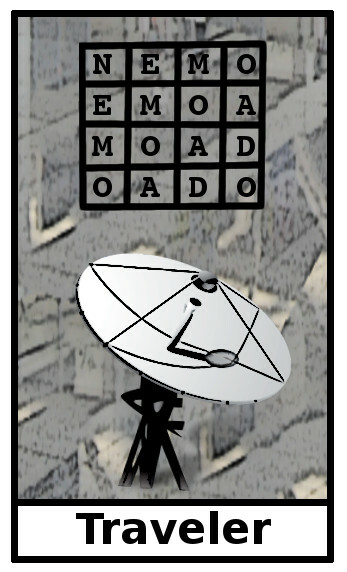 Primary Gift: talisman of IALKOMO (ee-al-ko-mo), Enochian, means "burning window". Passport of CICLE (pronounced sea-seal, means "mysteries"), opens Kether up so you can visit anywhere you want here. Spirit guides: Flight Captain (Nemo), your personal Travel Agent. Earth Portal: optional return portal to take you right back to earth and your body. (not shown but is in the back of the terminal. Just look for it and you will find it). Looking to travel forward or backward in time, take the gateway to the Time Tunnel! Inscription in "Open Mysteries Terminal" is Enochian (ODO CICLE, oh-do sea-seal), means "open mysteries". Hermes unofficial rock and roll song for this location: Time Passages, by Al Stewart.